Blah! I’m so late in posting this blog. I have been so lazy. No excuses. 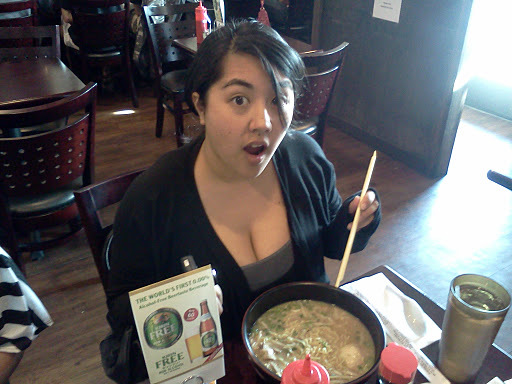 But I couldn’t go on another Ramen Run before I posted this. Guess when our next run is……….Today! You can’t spell Procrastination without Pro. Wow, that pun got lamer and lamer as I was typing it. Any who! Back to the main point. I went out with the ladies at church to Daikokuya. That is the closest and best place from our church. Really, I would have to say it is my second favorite authentic ramen house. Hacienda Heights location, that is. She liked it. She had a lot of food though. She got the combo item with pork fried rice. Usually they give you a smaller bowl of ramen in the combinations but they must have changed it recently. Moar food! I have been to Daikokuya a few times with Anne. I don’t know why I never wrote anything. I usually go with her and her husband, Freddie. *SIIIIIGGGGH* This is Jennipo. 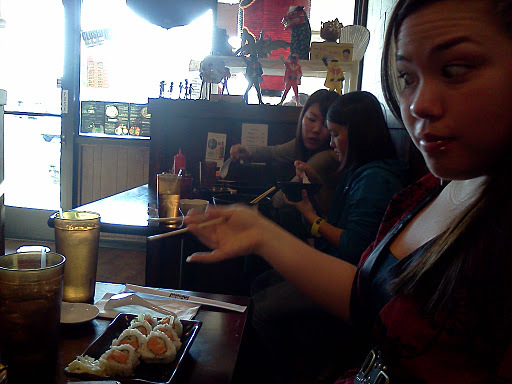 She was not feeling ramen that day so she got the spicy tuna roll, which is also awesome if I may add. 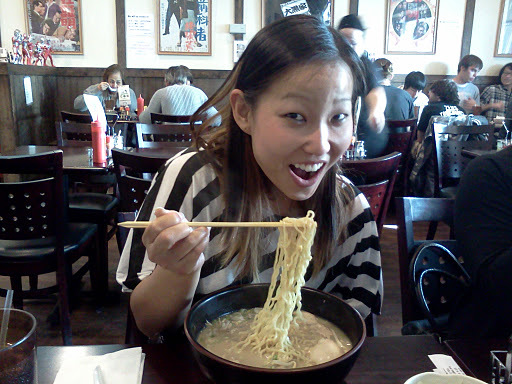 I just give her crap because how do you go to a ramen house and not eat ramen? I don’t like ordering ramen at the sushi house. I’ve only had one exception with Shogun because they only have ramen two days out of the week so they make sure it tastes awesome. -This is Tanya and thanks for reading. More blogs to come really really soon, I promise!